Changing your home is hard, it is even harder when this happens right before the holidays. You need to put an extra effort into making your new place feel more like a home to you. 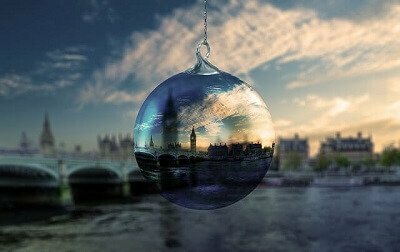 Thankfully moving to London has a lot of benefits starting from the capital’s Christmas decoration, leading to the many parties and festivities organised all across the city. We have created a list of activities and small home projects that will make the transition to your new living conditions easier. 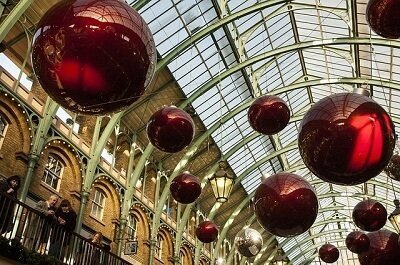 Christmas is the best time of the year to be in London, so have fun! Carefully unpack all of the boxes, even the smaller ones and start arranging your belongings. In order to decorate the place, you need to have all of your stuff in place. Do a fast house cleaning. The more you clean, the more at home you will feel. Make some small holiday baskets and go say “hi” to your new neighbours across the hall. Start gaining acquaintance immediately. It is nice to see familiar faces when entering your neighbourhood or apartment complex. Put a couple of plants around the house. Greenery works miracles on the way people perceive their home. Place scented candles and lit them occasionally. This will help you relax and feel safer at your new surroundings. Do a little Holiday shopping for your home. Buy new decorative pillows, things for the kitchen and all sorts of small items that will thrill you about your new home. Sometimes a small figurine is enough to brighten your mood. Relocating with your whole family to a different city can have a negative effect on your children, regardless of their age. They change schools, lose their friends and have a new room to get used to. However, being the Holiday season, you can use it in your advantage to brighten up the mood a little bit. Decorations – spend some quality time with your kids doing DIY Christmas decorations. This will excite them and make them forget their worries. It will also release some of the built-up stress from the whole relocation process. Put on the Christmas tree and lighten up your new home with various multicoloured lights. Select some family photos and place them in noticeable places around the new place. It will make the house feel more like a home. Bring out the board games and hot cocoa and have some fun family game nights. There is nothing more pleasant than being with your loved ones while it is snowing outside. After the house moving to London, your children will probably feel very isolated and lonely, having left all of their friends back in the old neighbourhood or city. So it is socialising time, and London is definitely one of the best places to do that. Encourage your children to go ice skating or take part of some of the other annual London fun. Go to places with lots of kids at their age. The ice rink at the Natural History Museum is a great place to find new friends, not only for the children. Parents also need a time-out after the anxious moving experience. During the whole month of December, there are various Christmas markets all across London. If you have never visited one, we guarantee you will like it a lot. Another great way to release the steam after your home move is attending one of the many Christmas plays at the Royal Albert Hall in London. We recommend the Nutcracker as an old-time classic. The lightening of the London Christmas tree is a fantastic family activity especially if you combine it with some hot drinks and caramelised nuts. The lightning Ceremony is held every year at the Trafalgar square. Take part at the New Years Eve and Day parades. These are some of the biggest events in London. Every year, thousands of people come to watch it.